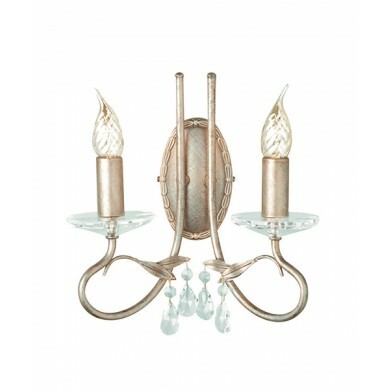 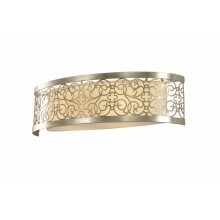 This wall light is a unique design in silver and gold with two candle style light bulbs. 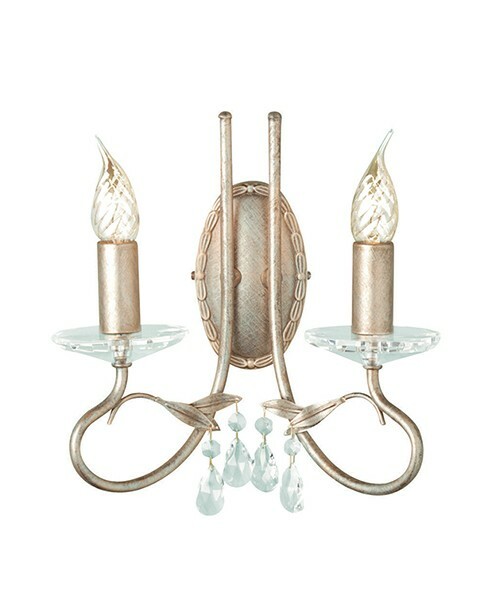 It features an oval shaped wall mount with two descending and curled arms extending from the mount and holding the candle lights on ornate glass pieces. 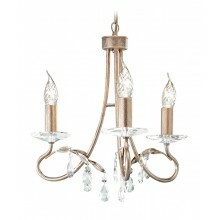 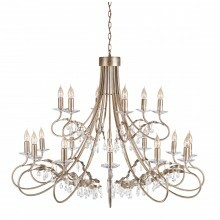 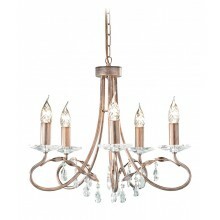 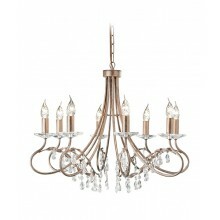 It also has glass pendants dangling from the bottom to create a formal and contemporary look. 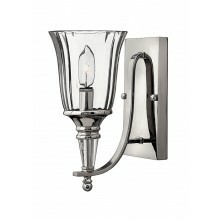 This wall light comes in an unobtrusive size. 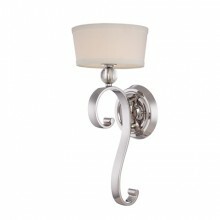 It uses two 60w lamps to create a gentle ambiance that can add style and class to any hallway, entryway, or living space.